With the CIPD 71st Annual Conference and Exhibition (ACE), taking place at Manchester Central on 7- 8 November 2018 we know that networking is a hop topic on people’s minds as they prepare for the event. The CIPD ACE is the major HR event of the year and attracts thousands of UK and international attendees. This year’s theme is ‘leading the people profession,’ with the conference designed to enable professionals to develop the skills needed to evolve in a rapidly changing working environment and to become a strategic force within their industry. One of those simple skills is the ability to network – which literally means to share information and resources amongst people who have a shared interest. There are so many opportunities to meet potential new clients or associates that you don’t want to be on the back foot when it comes to exchanging details. A good business card, presented in a confident but non-pushy way, is invaluable. And instead of fumbling around in your handbag or briefcase, have them to hand in a pocket ready to casually hand over. It’s also wise to check who the other attendees are so you can make a beeline for them if they spark your interest. 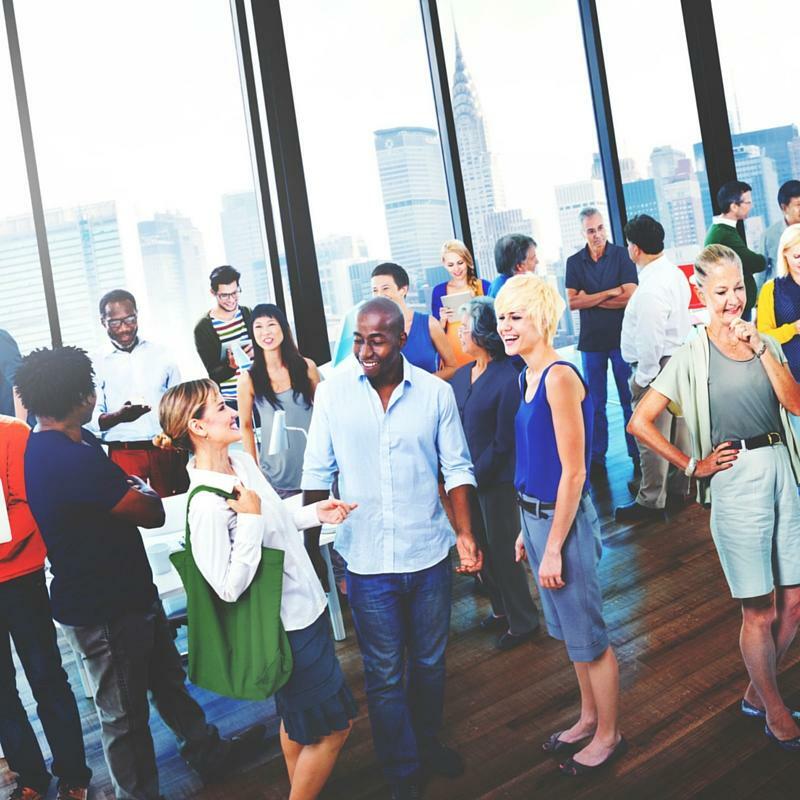 You never know who you’re going to meet or what you might learn – that’s what makes a networking event so interesting. If you go thinking it might be a waste of time, then it probably will be because you’ll be giving off all the wrong vibes. It’s important to be open-minded, approachable and friendly. You might be a shy wallflower, but this is not the time to show it. There’s no doubt it can be difficult going into a room full of people and instigating conversations. If you’re nervous, take a colleague with you or ask someone you already know to help make introductions. If you are worried about selling yourself or your business at events, then listen and ask lots of questions instead. No one wants to be stuck next to the person who only talks about themselves or their own business interests. Focus on the other person and ask open questions to get them talking. Take the time to figure out why they are at the event and what they want to achieve. If you don’t have enough time to connect, then offer to meet them afterwards for a coffee or video call. In a room full of people competing for attention, you need to have a short and snappy pitch about who you are, what you do and why you’re there, ready to wow the networking group. Think of how you’d sell yourself if you had a 90-second ticking clock or what your ‘elevator pitch’ might sound like. No one wants to be stuck with a rambler! You only have a few minutes to make a good impression and while we’re not advocating you dance on the tables, spike the tea or say something outrageous, you need to concentrate on what makes you unique. What can you offer that no one else can? You never know, the networking event may lead to further job opportunities and making a good first impression is important. It doesn’t mean you need to blend into a sea of grey suits or wear something which doesn’t reflect your personality, but being clean, smart and professional is a no-brainer. You could always tailor your dress to reflect the industry you’re in. For example, if you work in the charity sector, why not wear your charity t-shirt? Or if you’re in the fashion industry, a statement dress or handbag will no doubt be a topical conversation starter. If you meet someone really interesting then make sure you take the time to contact them after the networking event. A person is more likely to remember you if you have a) made a good impression and b) been polite enough to contact them to say thank you. One of the best ways to make a useful and rewarding connection is to make yourself useful. Listen to your new contact’s problem and help them figure out how to solve it. If you’re not able to help them personally, you may be able to put them in touch with someone who can or suggest ways of resolving the issue differently. Your good deed is unlikely to be forgotten. 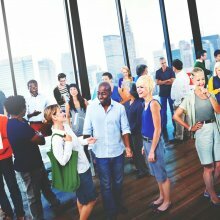 If networking fills you with dread then why not buddy up with someone you know? You could help each other break the ice with new contacts by introducing each other. If they have complimentary skills you can recommend each other’s services where appropriate and maximise both your potential. Don't forget to seek us out and say hello at the CIPD ACE Conference in Manchester on 7-8 November!